TSP’s New Storage Reel offers the best designed Storage reel on the market today. 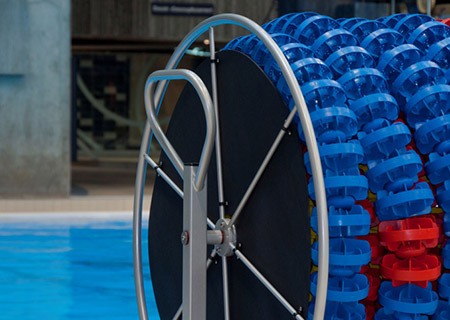 Using quality materials and workmanship, TSP’s Storage Reel will provide years of service in and around the pool deck. 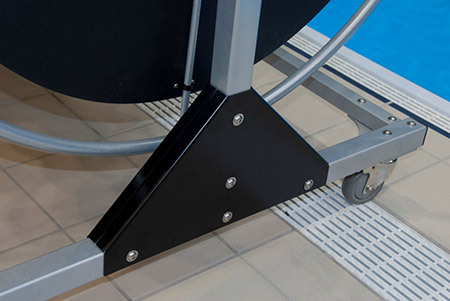 Holds up to 720 feet of 4” lane lines or 400 feet of 6” lane lines. T-304 Stainless Steel construction. Each component is Poly Diamond sealed for added protection from the harsh chemicals and moisture found around aquatic facilities. 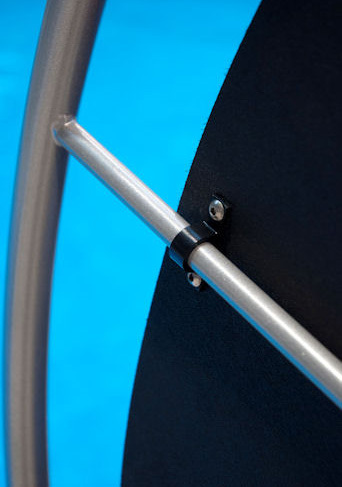 Located at each end of the Storage Reel to allow for easy maneuvering around the pool deck. Available on the Deluxe Model only. We attach a Poly Shield to each Reel Disk to help keep the lanes on the reel and hands out. Allows for easy loading and unloading of racing lanes. Available on the Deluxe Model only. 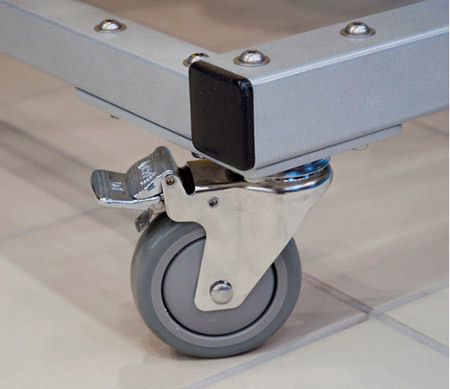 Poly Wheel mounted on a Stainless Steel frame for added durability. Each Caster has an easy set foot brake. © 2018 Nordesco Industries, Inc. All rights reserved.